It is interesting that marijuana is still viewed by many as an innocuous recreational drug, in spite of years of scientific research and public awareness. Nostalgic images from the sixties still prevail, the images of blissful pot-smoking hippies, conveying the message of free love and of a means to spread the ideas of a laid-back, peace-loving world. The recent legalization of marijuana in Colorado and Washington States would make it appear that public opinion in the US is shifting toward one of more tolerance towards the usage of this so-called recreational drug. More states will follow suit, because the marijuana industry promises that revenues can be reaped at a time of economic hardship. In the case of Washington, some of the revenues are to go to drug education and treatment, but it makes up for not having a state income tax. In Colorado, those who pushed the referendum promised money to the schools. These states would find it easier if they tried to regulate and tax dandelions, also a “weed,” but a weed that is yellow and conspicuous, and might be detected. With the rise of mental illness in the twenty first century and our growing dependency on pharmaceutical drugs to sleep better, be less sad and perform better in the bedroom, what sense that it make to encourage another drug on the scene simply because it comes from nature (what doesn’t) and promises us a false sense of well-being and euphoria? The push to legalize drugs is one more case of government taking advantage of people for the benefit of revenue, as in the case of gambling in Maryland. In 2008 Maryland voters approved slot machines in three locations to finance the schools. Just four years later, the money was not enough, so the politicians asked again in 2012. They asked voters to approve casinos and they did, because Maryland’s governor needs to appear generous, fearing that cutting expenditures will cost him in politics. One wonders what will be next when the money from the casinos doesn’t pan out and it becomes too costly to regulate. Politicians should be focusing more on education and protecting people instead of greedily reaping the benefits of peoples’ dependency on drugs or gambling or any number of bad habits. To spread an idea that a “weed” that grows like a weed can be regulated is a creative approach to political lobbying. While it may be true that other, harder drugs pose an even bigger threat to people’s health and society, the truth remains that research has shed more light on the harmful effects of marijuana, including the higher concentrations of THC levels that have forced even the Dutch government to implement less tolerant and stricter laws due to increased drug trafficking and criminality in The Netherlands. Many countries, especially within the European Union consider the experiences of the Netherlands with respect to marijuana and the impact it has had on its society as a model, which serves to influence their own policies toward legislation and drug law enforcement. The Netherlands continues to be a major producer and distributor of cannabis in Europe, even though production, importation and exportation are outlawed. Cannabis coffeehouses still manage to be supplied, although many were forced to close due to their proximity to schools and for not adhering to newer laws that prohibit sells to foreigners. The US and the Netherlands have differences in culture and demographics, but the nature of the drug and its effect on people still remain the same. More importantly, we cannot deny the scientific evidence that has surfaced from many years of ongoing research which clearly indicates that this is by no means a harmless, non-addictive drug. Marijuana, hashish and hash oil, is derived from the Cannabis sativa plant and today, on average, has higher concentrations of the chemical THC which is a psychoactive substance. This means it travels in the bloodstream to the brain, disrupting brain functioning which can result in paranoia, confusion and anxiety. A condition known as drug induced psychosis, affecting orientation, memory and bringing on visual hallucination. If a person has a predisposition to a psychotic illness like schizophrenia, or a person who already suffers from psychosis, using marijuana can trigger the first episode. For a person who already has suffered from psychosis, the drug makes it much worse. It is believed that heavy users of this drug with psychotic illness tend to experience more delusions and hallucinations, resulting in higher hospitalization with overall treatment being less effective and therefore hampering recovery. Given these facts, we don’t have to search too hard to realize that many of the perpetrators of the countless acts of violence that we have unfortunately grown accustomed to hearing about have many times involved the use of this so called innocuous drug, In some perpetrators of crime even if it has acted as a gateway to some of the harder drugs. Even if there were monetary benefits to be gained as was the case in legalization of alcohol after prohibition, but surely the long term costs to our society isn’t worth that risk. For one the cost in health care due to emergency hospitalization, drug reinforcement costs due to increased traffic accidents and other transportation accidents, not to mention drug seizures from illegal cultivation, the cost to employers as a result of drug testing and absenteeism, rise in violence in schools, and in general impaired work performance. Let’s dream on. Florence Turner grew up in London in the 60s and 70s. She has lived in The Netherlands, Canada and Italy, but has been in the US for almost 30 years. Very insightful, Florence. Obviously you have been ‘around the block’ with worldly experience. One insidious aspect narcotics may create on habitual or addicted users is a derangement in the mind that controls the user to do, say or act in any manner so as to appease the user’s desire for that narcotic and and to attain greater access. The fact that we can completely ignore and dismiss the role marijuana may (and is very likely imo) playing with so, so many high profile acts of violence- Boston Marathon bombing, bombing in OKC, Columbine, Aurora, assassination attempts of Ford, Reagan, Giffords, assassination of John Lennon, Manson, Gacy, Dahmer, Bundy, Breviek, etc, etc-, attests to the power of the narcotic. Whether the reader agrees or not, one must honestly admit, there’s no national debate or inquiry whatsoever. It’s crazy. In other words, the addicted mind will lie, cheat, steal or do whatever in order to main his or her drug habit. Addiction creates a wicked reverence the narcotic. And I think with legalization efforts we are now seeing this insidious aspect of marijuana on a pervasive, national (even worldly) scale. The degree of wickedness is mind-boggling. Public opinion is shifting towards legalization whether you like it or not. I’ve smoked cannabis for a long time and honestly what you are doing here is fear mongering based on soon-to-be-outdated Reagan-era views on “drugs”. If you bother to research, you will find the marijuana is 3-10x stronger. Now people are so addicted, the want the rush that they’re willing to make very dangerous hash oil to get the next high. The science is catching up the the legalizers. Sorry. Btw,Have you read the latest findings suggesting chronic pot use shrinks brains!? This latest finding about marijuana shrinking gray matter in the brain may indeed prove to be the smoking gun or at least a major step. Folks, please read up on this. Now I wonder if the re-wiring the brain does to compensate may not be influenced by adverse conditioning when those conditions arise. This may explain why most users are non-violent, while a minority of users, perhaps genetically predisposed, who are subjected to negative elements around them, like radicalization in the Middle East (where narcotics run rampant and are used in radicalization techniques), will have a tendency toward psychopathy.Or it might explain why one young man thinks he is the joker and shoots up a movie theater or mall, or another shoots up a school, bombs a marathon, or tries to assassinate a president or other major figurehead. While they are obsessivel indulge in marijuana, their brains are re-wiring, and during that re-wiring they may be conditioning themselves because of an adverse environment- ie vioilent video games, intense radicalization or brainwashing, ideological bombardment, etc. It’s an exciting breakthrough in my opinion. Scary too when considering the damage that may have already been done to our society. Unfortunately some are taking that study and reinterpreting it differently. It rewires brains, very obviously. Could you elaborate? I am not sure how this study could be interpreted with a positive spin? Unless some erringly think the re-wiring means smarter or more creative minds? Thanks. Without the time to put up the commentary. There are several newspaper accounts of the study. Because usage shrinks the gray matter, new connections form, at least up until 4 years. Because the body compensates for a short time, some people are saying that it is proof of no real harm. People rationalize to a huge extent. If I find the article will post. Thanks, I see your point. No need to find the article. Yep, “Everything is just fine.” The pot lobby simply spins from every conceivable angle. More longitudinal studies are required to determine if the brain heals after the reconnectivity disintegrates. If not, this is one big “oops” for an entire culture that now has smaller brains. There really is no free lunch with marijuana. Ultimately, nobody escapes- one way or another we ALL pay dearly for this colossal stupidity. I was wondering if Thoughtful Living would be interested in creating a database on its website that would list or tabulate many of these criminals with drug abuse history? One column, for instance, could list the name, another confirmation of prior drug use with a verifiable reference, another the crime, etc. I could provide at least a hundred names myself in short order without much trouble. It would be a nice reference, especially to convince the skeptics. I sense that most in society are not getting all the information, in fact very little as to correlation. Who knows for instance, that Brinsely, the recent NYC cop shooter, was also a user (or former user as per arrest records) of marijuana? Or Thomas Gilbert Jr who allegedly just murdered his multimillionaire hedgefund manager? Or some of the perpetrators of the recent attack in Paris, the Kouachi’s? It’s truly amazing! The best analogy I can think of is: let’s say you witness a nasty traffic accident, and point out to the investigaing officer that the driver was very drunk, as evidence by his behavior and empty alcohol containers present, But instead of agreeing with you, the office turns defensive and states “Alcohol has nothing to do with it, Are you crazy? I drink all the time and I know many others who drink, and none of us ever get into crashes”. Curious you think, but then you find society at large, even the smartest people in the world, also would never dream of alcohol being a factor in the myriads of impaired driving accidents, Just all coincidence. You are left there dumbfounded, “Don’t these people get it? Don’t they at least wonder?”. This is about how it is (though with pot, the distinction is long term, permanent mental alteration). So with a database web page for reference, I bet many more skeptics might become believers, or at least wonder. We don’t have the manpower to do that. You have very pointed comments. Thanks, redherring. Say, just as a reminder, we are coming up on the 20th anniversary of the Oklahoma City bombing, if I am not mistaken, April 19. Which incidentally comes a day before 4/20, ironically. As a refresher, the perpetrators (at the moment, I don’t feel like saying their names), engaged in “copious” amounts of marijuana years prior to the act of terror. I the ongoing hypothesis is correct, they essentially conditioned their brains by association with hate and anti-government radicalism via rewiring (neuroadaptation) of the brain with their drug use. Thus they became hardwired on a mission, just as I suspect most Islamic terrorists do as well- the same fundamental process. Thus, according to theory here, they are not in the least open minded or receptive to the notion that mind altering drugs such as marijuana might be permanently altering their minds as well as some of these psychopathic killers. It may be worthy of a reminder to review again the most iconic photo taken of the OKC bombing, So powerful and moving. So sad and so horrible. Society needs to explore and get to the bottom of this madness, whether it’s marijuana or not. We can not close our eyes and not at least wonder. Add a few more to the list of violent potheads. The recent ‘road rage’ murder incident in Las Vegas where the alleged shooter “had an affinity for marijuana”. And this “Jihad John” ISIS terrorist. An acquaintance of his said he “smoked drugs”, which implies pot too. Discovered a couple more from the past. Recall that crazed lunatic who crashed his pick up into a Luby’s cafeteria in Killeen, Texas in 1991? Name was George Hennard. From the records “He was arrested for marijuana possession in Texas in 1981 ..” and “In 1989, shortly after losing his seaman’s license again, for marijuana possession aboard a cargo ship, Hennard enrolled in a substance-abuse program in Houston.” Another crazed doper (from past abuse) going on a killing spree. Plus another I just learned about: Earl Albert Moore was arrested for planting a bomb near Columbine HS on the 12th anniversary of the massacre in Colorado. (I’m not sure how it was averted.) Search carefully in the news and find he ALSO was another doper too. 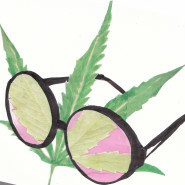 (The news says “drug” abuse, and generally, about 95% of all druggies, it appears, are sure to smoke pot.) He said that the date for the would be explosion, 4/20 was mere chance, for what it’s worth. So fitting, he was arrested in Boulder, Colorado, ground zero of progressivism and the thrust behind marijuana legalization. Of course, nobody in the media, academia, the politicians are even taking notice his connection to drugs. Imagine that, we almost had another disaster in Colorado on April 20th, a potential massacre in a mall by ANOTHER DOPER, all the while the potheads celebrate pot legalization! To be fair, I could not find any drug abuse history of the 2007 Virginia Tech shooter (also oddly also in the third week of April), Seung-Hui Cho. Anybody know? From tonight’s O’Relly Factor on Fox news moments ago, mentioned were a string of four homicides allegedly by Emmanuel Jesus Rangel who was just arrested. Interestingly FOX also mentioned Rangel had a prior marijuana arrest record. How can they not possibly at least wonder there might be a connection? Pot could be desensitizing the brain and simultaneouly creating or allowing delusional ideas to embed into the brain’s wiring in some prone abusers, a combination that could lead to homicidal tendencies. It’s all right there in front of them, even stated in succession, yet no one suggests the potential link? What the heck is going on? In case anybody missed it, and for the record here, alleged murderer and football star Aaron Rodriguez, currently on trial, was said by acquaintances to be a chain smoker of marijuana. Seems to me like any inquistive mind (where the heck are they in the national media, congress, academia?) would at least wonder if any one or more of the three hundred chemicals (est.) in marijuana are not adversely affecting and modifying the area of the brain that regulates basic feelings and mood, apetite, empathy and inhibitions- an area of the brain already scientifically demonstrated (via neuro imaging) to be affected by marijuana. Note I am not insinuating, suggesting or proclaiming, but I think we must wonder if marijuana or other drugs may have influenced the mind of the recent suicidal pilot of Germanwings recently. The perpetrator, of course, was all over the world, including places like Arizona or San Francisco. Now once again, not making wild claims or even suggesting such a scenario took place, but how in this day and age of relaxed standards regarding marijuana, can we rule out the possibility the suicidal pilot had not abused marijuana? Could he for instance, tried marijuana cooks, say in Colorado? If so, could smaller amounts induced a reaction at a later date? Scary thoughts, I know, not trying to be a fear monger, but we must wonder now. Some very interesting commentary from NYPD lately, stating that marijuana related homicides in New York City have risen, and that the rise revolves primarily around marijuana dealings, not the harder drugs. This is curious because it may imply that the ‘harder drugs’ are not the primary culprit that alters minds toward homicidal ways. But instead, it may simply be marijuana and its affects on the brains of certain predisposed abusers. As a brief recap for those interested, the hypothesis is that abusing large amounts of marijuana may adversely affect the very part of the brain that harbors our basic feelings, including empathy for life and inhibitions. That gray matter is being destroyed, it appears from neuro imaging studies (or it could be those with smaller brains are attracted to marijuana? No one knows yet.) At the same time, the brain reconditions to compensate, with more complex wiring, and it could be that during this heightened neuron ‘replacement’, the brain is associating and conditioning to whatever stimuli are in the abuser’s presesence. If it’s hashish in the Middle East, smokers (or eaters) are learning to love hashish, Islam, while hating the West and Israel or whatever else may threatened their warped views. This process may also explain why so many of these sociopath nutcases can kill remorselessly, They simply do not care about life, their own or that of others. In the “drug are beautiful” innocence (abject stupidity actually) of the West, where the mainstream are new comers to the world of drug, we are simply undergoing the tip of the iceberg. Most indulged in mild forms, never saw horrible effects, A few indulge profusely, subject their minds to radical ideas, lose all empathy for live, lose their inhibitions, and then from conditioning their minds toward devious ways, perpetrate horrendous acts upon certain stimuli. pardon a few more typos, primarily not adding “s” to make words plural. Of course, once again, now the murders of cops in Mississippi, the older alleged perpetrator, has a drug history, In fact, search him and it appears in one of the posted photos he is smoking some rolled joint, perhaps (and likely imho) marijuana. The connection never ends. Yet if anyone is wondering which of the murderous sociopaths in recent news used marijuana and/or other drugs, my answer is “ALL of them”. Deciphering the news today: Without ever hearing or knowing anything about a murder case from 1985, I see some news of one of the perpetrators, Paula Cooper, who just died. She was 16 at the time of the grisly murder and torture in 1985, so was spared the death penalty. Anyway, my point is I know nothing about this case until this morning. But I immediately wonder about this person’s prior drug abuse. I think, “Could marijuana been a part of her life that perhaps induced derangement in her brain, and the others involved, that lead to this horrible homicide?” I am reminded of the Third Brigade, US troops fighting in Afghanistan, They apparently, (like many other soldiers), indulged in the drugs available, specifically hashish, the concentrated derivative of marijuana, A few years ago, a core of four of them (also) went on a killing rampage, terrorizing Afghan civilians. I do think the cannabinoids did this to their brains, the same process that is also at the root of all Islamic terrorism. So I decide to research Paula Cooper, suspecting she was a pot users also, Sure enough, here it is: “According to police, Cooper skipped school with three friends, drank alcohol and smoked marijuana..” and then proceed with the torture and murder. It could be a combination of alcohol and pot at the time, but the point is, marijuana was obviously an ongoing drug of use with those perpetrators. It’s amazing. Dope is very likely behind the madness imho. Of course, there have been several more high profile murder cases in recent weeks, all somehow related to drug abuse, including the random murder in San Francisco. Mental illness and drugs once again. But one must question this notion as this being a deportation problem, And that is because there are millions of undocumented workers in the US, doing their jobs, seeking better lives. But when you think about it, the shooter Francisco Lopez-Sanchez, was also performing a job, fitting into a special niche demanded by Americans. That is he supplied drugs in his dealings, and to a very open, carefree area of high drug demand anyway, an area of the country where drugs, especially marijuana, are regarded as innocuous, even healthy for us. In essence, he fit right in, HE WAS ONE OF US. Sure, in the aftermath, we can say he did not legally belong in the US, but then again, he was here by our own creation, our insatiable demand for drugs, He is one of us because he is a product of OUR drug culture. That being said, he was also a heavy user of drugs, was verifiably mentally ill- a terrible and at times, dangerous combination. One could argue his mental illness was derived from drug abuse, or an underlying mental illness surfaced and was exacerbated by drugs, Whatever the case may be, our society continues to ignore the obvious (drug abuse and mental illness), and instead rationalize away all these senseless homicides as a gun culture issue, of illegal immigration, etc. The bottom line, imho, Sanchez was mentally ill from drugs, dealt drugs for his existence, and was so mentally out of it, he simply murdered at random. And it’s possible, this may have been some kind of reverse racism, a resentment toward middle class and upper middle class white women. (And I only bring this up, not to stir racial divides or anything, but merely an attempt to understand any kind of potential mindset of the perpetrator,) A very similar act of violence occurred in Santa Cruz this last year, except the perpetrator was a US citizen, and used a knife instead of a gun. Mentally deranged with past history of drug abuse, ALSO, like ALL of them. But the main reason for writing is to mention the mass murder shooting that took place in Chattanooga in the last few days. The shooter used plentiful marijuana, and expressed martyrdom for Allah. This case is classic, by the play book! The origin of “Hashish” is a hashish eater trained to be an assassin. The Afghan terrorists, car bombers, etc, use hashish, the Palestinian suicide bombers do the same thing, and now we have a clear cut case in the US, all by the play book that really should be blowing the lid off and elucidating the terrorist process, and how marijuana, or hashish, play the pivotal role, Those drugs are restructuring the neurons of the brain while the abusers of the drug are being radicalized. Cannabis is simultaneously altering areas of the brain that control empathy for life and inhibition, Their minds experience a delusional state of the “worthlessness of life”. They really do believe they are killing infidels and reaching Islamic martyrdom. A slam dunk for our understanding, or so one would think. But nobody, that is nobody with a national presence, is picking up on this? Are we, that is our country, so out of it, like the Emperor with No Clothes, we can not acknowledge the obvious role that mind-altering drugs might be playing in altering minds. Look, these sociopaths, even when on trial, are often trying to tell us that their minds went devious went they got deeply involved with drugs, The ‘patients’, (mental health patients, really) are speaking to us, diagnosing their own conditions, but NOBODY is listening. Mum seems to be the word everywhere. Shouldn’t honest and inquisitive minds at the very least, WONDER? You should really be writing on the webpage of California’s fight against legalization. Go to http://www.stoppot2016.com. They need your brilliant input!!! Thoughtfulness, thank you for the vote of confidence! I appreciate. 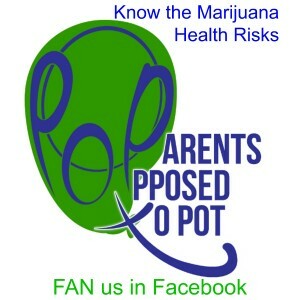 Since reading your post, I have written a few comments on the Stop Pot 2016 initiative. For some good news, I am getting a sense that the national media, at least on the conservative side, is observing that much our mayhem is not simply a ‘gun control’ issue, but is compounded by the near invariable presence of mental health issues. That alone is a big step. Next we can all at least hope that more inquiry toward what role drugs influence mental health issues. Then ultimately we might find out what particular drugs are inducing or exacerbating mental derangement (if that be the case). My guess it’s marijuana because the most salient commonality from ME terror, to Mexican cartel barbarity, to drug domestic gangs, random shootings, and lone wolves, etc, is prior abuse of the cannabinoids.